When training, hunting or out in the field, reliable optics are critical. 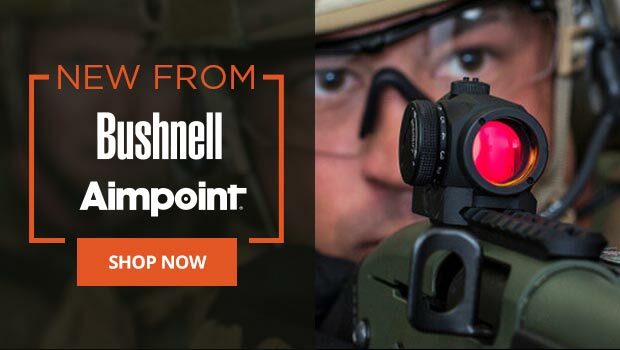 At TacticalGear.com, we offer a wide range of options from brands like Aimpoint, Bushnell and Nikon. Our top-of-the-line binoculars and spotting scopes use premier technology to offer the utmost in clarity. Looking to improve your shot? Browse our selection of weapon lights and laser sights. Commonly used for home defense and target practice, they’ll give you peace of mind knowing you can acquire your target in seconds. No matter what the situation requires, strong visuals can make or break your success. Be sure you’re equipped with the gear you can depend on. Was easy to install and fit like a glove. Worked for about 20 seconds. Returned it and now waiting for a credit. Would have probable given 5 stars if I had been able to test it. It makes it so much farster than just plan sights and you don't have ask your self if I am on or off ! This is a great product, well designed, fits multiple firearms and very small and compact. Really like the spring loaded on/off button that works from either side. Can turn unit on or off from either side, very quick and efficient.